Infants-6th grade. All are welcome. We will meet in the Fellowship Hall to divide into age groups for our hunt. 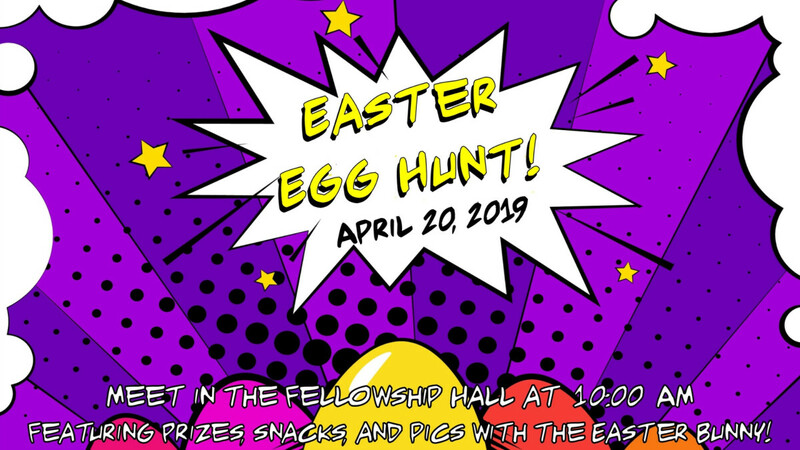 After the hunt, join us in the Pavilion for refreshments, prizes, and pictures with the Easter Bunny!